Are you struggling with inaccurate or incomplete patient data? This webinar discusses the critical success factor of automating insurance discovery and the positive impact to revenue and reduction of operating costs for organizations like yours. Christopher Watts from Cordant Health Solutions and Kathleen Strunk from Sonora Quest Laboratories discuss their patient data challenges and the steps they took to address the issues. Dean Paluch shares the benefits realized through the use of automated insurance discovery all without changing your operations. Better understand the true impact of inaccurate or incomplete patient data on the average diagnostic company's balance sheet. Gain an understanding on the technology solution available that addresses the clean-up of patient data to improve reimbursements, cash collections, clean claim rates, and reduce operating costs and inefficiencies. Dean has spent the last 34 years in the healthcare IT space. His first 10 years were spent with WebMD/Medical Manager where he held various technical, operational, support and managerial positions. 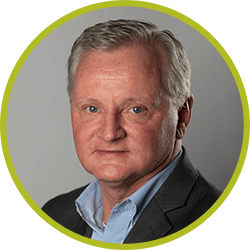 He later joined McKesson where he spent nine years in executive leadership as Vice President of US and International Sales Operation. He took on a role at Experian Healthcare as Executive Vice President and Chief Client Officer for the Healthcare Division where he worked for 10 years before joining FrontRunnerHC as a Co-Founder and Executive Vice President. Dean is a graduate of the University of South Florida with a degree in Business Management. 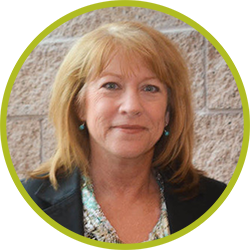 Kathleen Strunk is Director of Revenue Services at Sonora Quest Laboratories. She has more than 13 years of billing manager experience. She holds a BBA from the University of Wisconsin-Whitewater. Christopher Watts is currently the VP of Revenue Cycle Management at Cordant Health Solutions. Previously, he was the Senior Billing Operations Manager from 2013-2017. Christopher received his education from the University of Denver, Kent State University and Colorado State University. 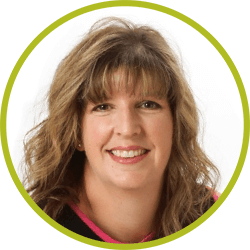 Sandra Greefkes, AVP Product Marketing, XIFIN, Inc.
Sandra Greefkes leads the product marketing team at XIFIN Inc and has almost 20 years of experience helping businesses of all sizes learn how they can leverage technology for competitive advantage. Before joining XIFIN, she was VP Marketing at Okika Technologies Inc, an early stage semiconductor start-up with a game-changing technology targeting Healthcare IoT and Medical Device companies as well as other industries. Her professional experience includes management consulting, strategic planning and market research for high-tech companies globally as well as significant expertise in brand strategy, product marketing and new product introduction of IT, Communications and Collaboration solutions. Her teams' past accomplishments and results are recognized by Forrester Research, Strategy Magazine, the Information Technology Services Marketing Association (ITSMA) and the Corporate Executive Board and she is a contributing author to the book "42 Rules of Product Marketing."